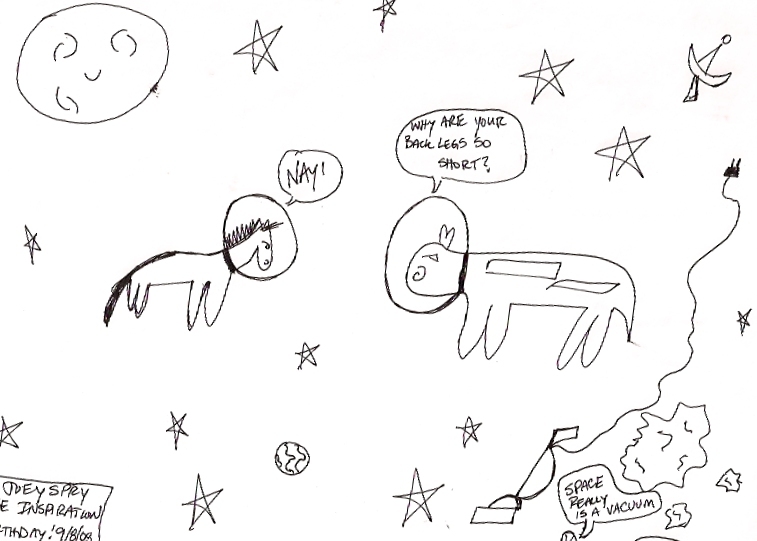 My good friend Joey Spry (a real seven-year old) said that Cowvin needed to go into space. I obliged and now we have the “launch” of a new series – Cowvin in Space. Wait – I thought nature abhorred a vacuum.